Eedris Abdulkareem – Jaga Jaga (Pt. 2). 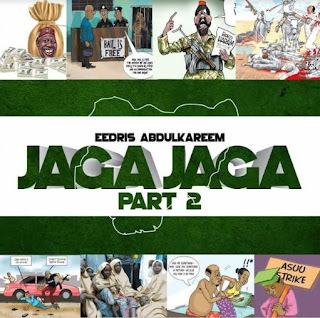 Veteran rapper, Eedris Abdulkreem comes through with the second part of his viral single from a long time ago titled “Jaga Jaga”. Eedris Abdulkareem in this second part just like the first one addresses some socio-political issues as we fast approach the 2019 general elections. Production credit from Mr-Lekki, mixed and mastered by Indomix. There has been no response to "Mp3: Eedris Abdulkareem – Jaga Jaga (Pt. 2)"